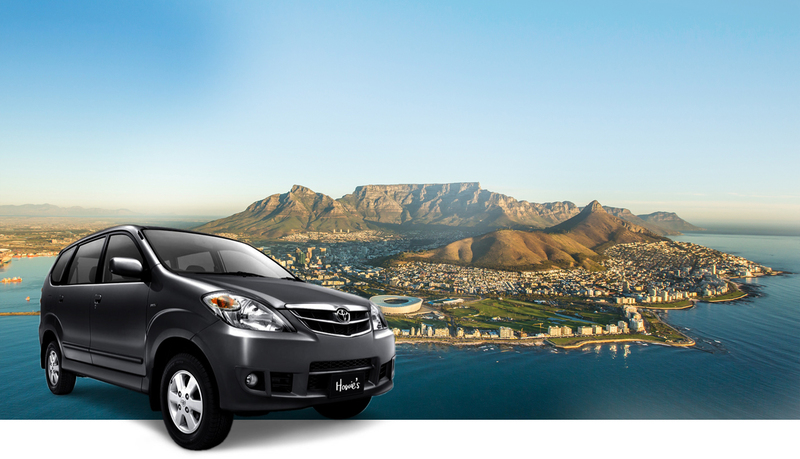 Private Day Trip, Chauffeur & Airport Transfer Services Cape Town! Howie’s has been sub-contracted with numerous well-known operators and companies, and continues to do so on a regular basis. Howie’s Transport is affiliated with: Disa Tours, Ulungele Tours, Jeff Edison Tours, Capvision Tours & Transfers and advocates from Cape Bar. The services of a Qualified Tour Guide can be added to your journey at an additional fee. Although not a tour guide, I can share basic information, handy hints and maybe even a story about myself… (but your privacy will be respected and maintained at all times). 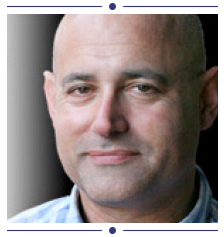 I, Howard Kaye (a.k.a ‘Howie’) am all about the personal touch – not only getting you there, but getting you there with a smile. I am inspired to show visitors (and locals!) the beauty of my country with extra, special attention. For more info please go to About Howie’s Transport. Contact me for any questions or queries you might have. I Look forward to hearing from you! Winelands, Cape Point or anywhere you choose to go, at your leisure! You name the place,I will take you there! Driver and vehicle at your disposal for a time period of your choice. Transport to and from Cape Town International airport.If necessary I will meet you in the arrivals hall with a name board. Driver available to drive your vehicle if you are unable. Collection and dropoff at your destination. Howie drove our family around Cape Town sight-seeing over two days as well as shuttling us to the airport and to and from dinner. It was an absolute pleasure spending time with Howie – he is very flexible and accommodating, very reliable and punctual, and is very knowledgeable and service oriented. We (family of 4 – 2 adult children) highly recommend Howie! Booked online from the Howie’s Transport website and had excellent service for airport transfers. Everything was perfect. I only wish I’d had time for the wine route, I would like to have had a tour of Stellenbosch and Paarl wineries but my schedule did not permit. Would definitely book transit with Howie’s Shuttle again next time – with a wine tour. I recently relocated to Cape Town, and my first experience in South Africa was meeting Howard, who gave me a warm welcome. Howard not only drove me to my hotel safely and on time, but also provided me with a lot of vital information about the city I’m going to live in. The conversation with him was enjoyable, and I really couldn’t ask for more. I strongly recommend using his kind and professional service for any type of transfer. Howie’s has been sub-contracted with numerous well-known operators and companies, and continues to do so on a regular basis. 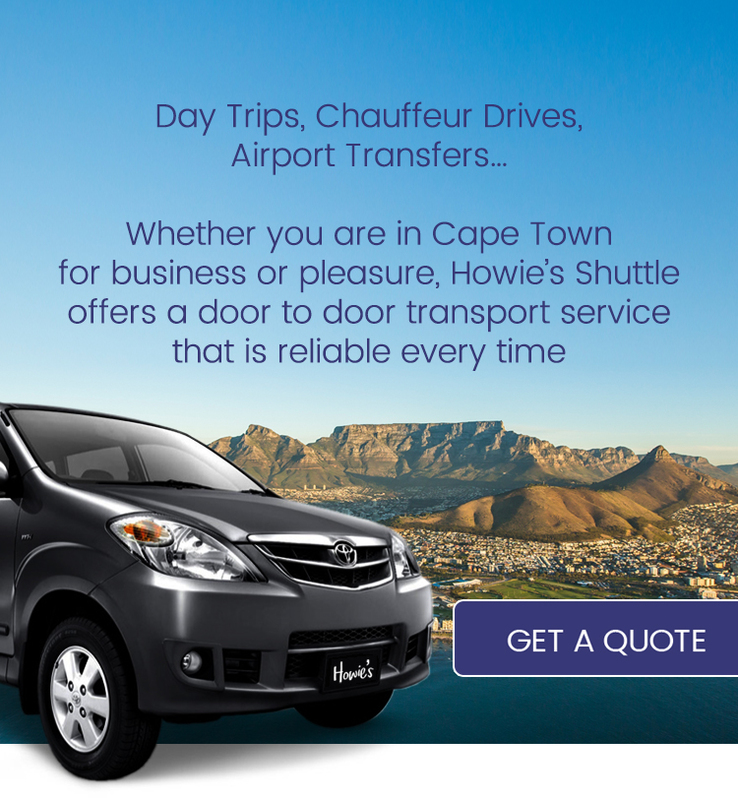 Howie’s Shuttle is affiliated with: Disa Tours, Ulungele Tours, Jeff Edison Tours, Capvision Tours & Transfers and advocates from Cape Bar. 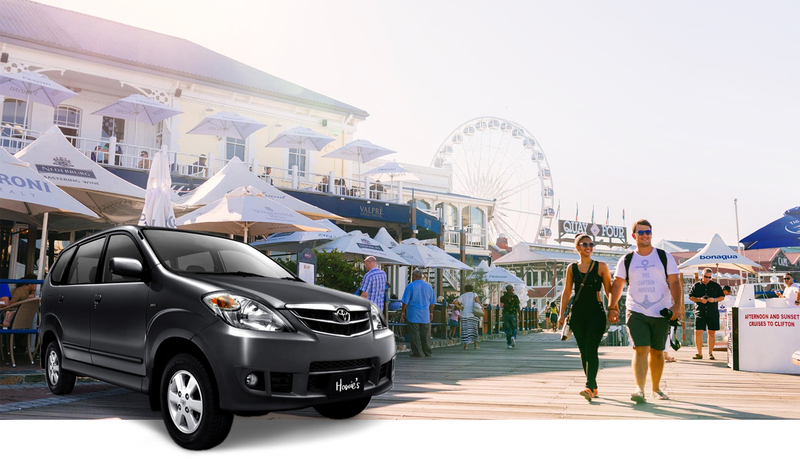 I, Howard Kaye (a.k.a ‘Howie’) am all about the personal touch – not only getting you there, but getting you there with a smile. I am inspired to show visitors (and locals!) the beauty of my country with extra, special attention. For more info please go to About Howie’s Transort. Booked online from the Howie’s Shuttle website and had excellent service for airport transfers. Everything was perfect. I only wish I’d had time for the wine route, I would like to have had a tour of Stellenbosch and Paarl wineries but my schedule did not permit. Would definitely book transit with Howie’s Transport again next time – with a wine tour.